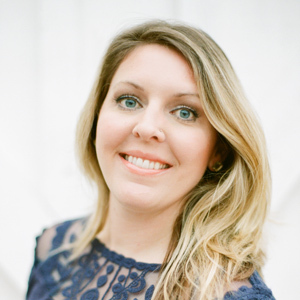 This just might be the best birthday gift idea ever… a couple of weeks ago I was contacted by Zack, a husband wanting to surprise his wife Kristen with a newly designed living/great room for her birthday. Y’all, seriously, is that not what every girl would want!?! Impressive, right? And it was all his idea! 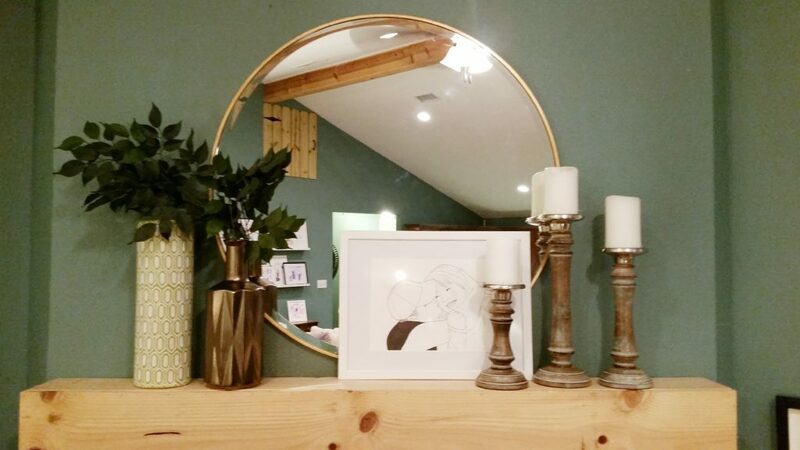 They moved into their new home over 4 years ago, with newborn twins and a toddler… so of course busy baby life happens and suddenly a few years have passed before they had any time to take a breath and think about home design. I met once with the Kristen and Zack to get a feel for what their needs were, and to take a few “before” pictures. You should know… I will soon have professional (and non-blurry) pictures of this space, but I just couldn’t wait to share the project with you! Kristen and Zack already had several things going for them in their space. 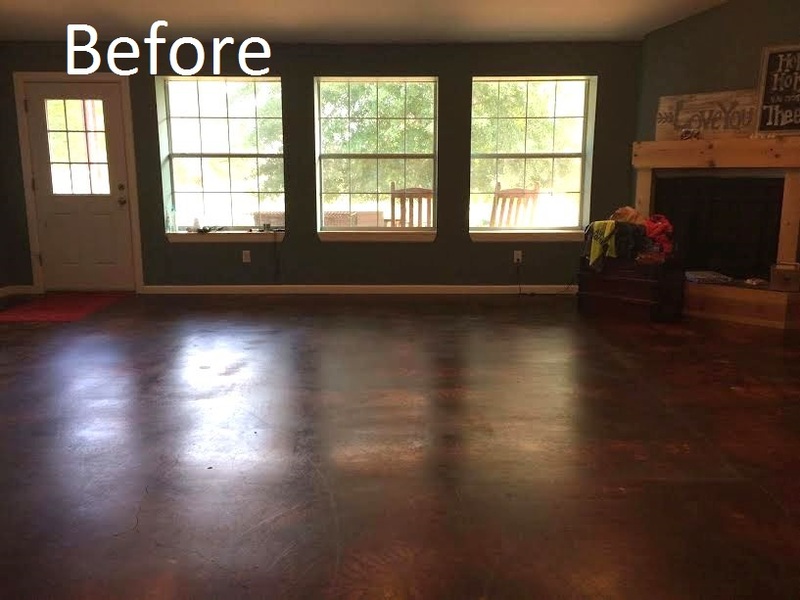 The acid washed concrete floors that Zack did, himself! 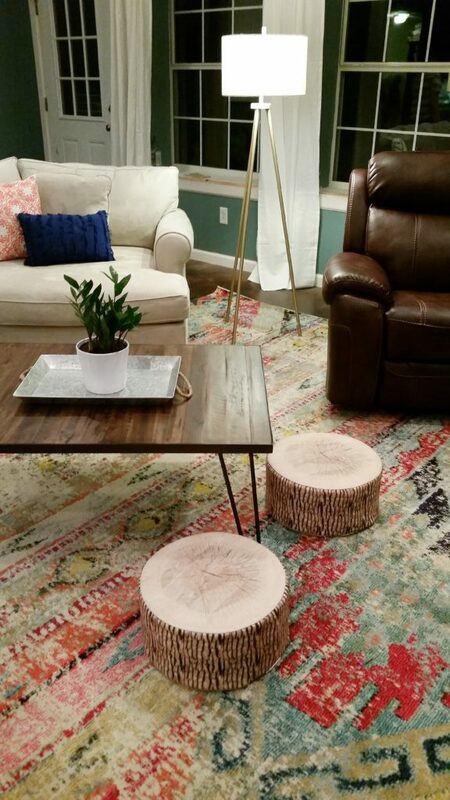 Kristen and Zack needed a new sectional and area rug for starters. 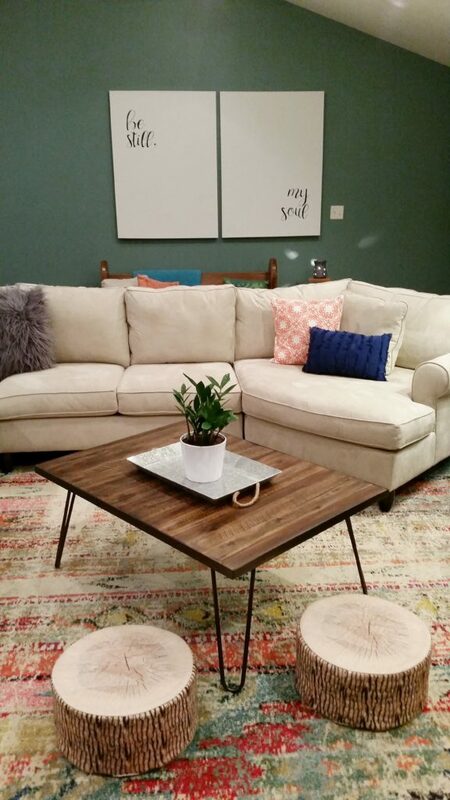 Kristen showed me the sectional they were thinking about- and it was perfect! 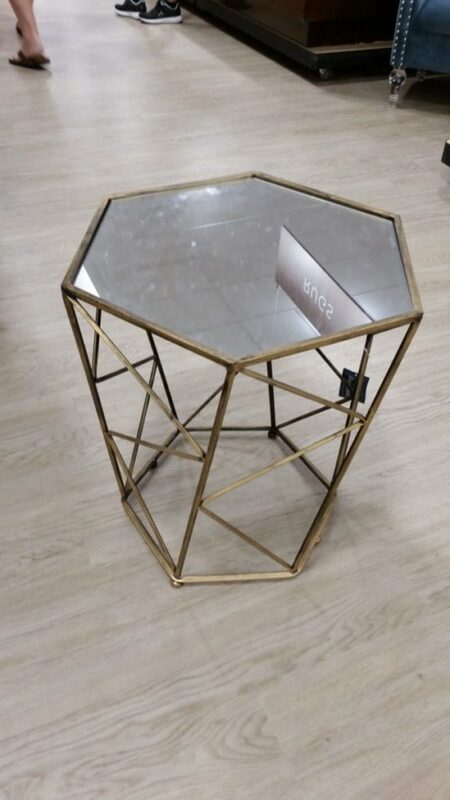 (So perfect, might I add, that I’ve already been trying to figure out a way to make the same one fit in my much smaller living room!) 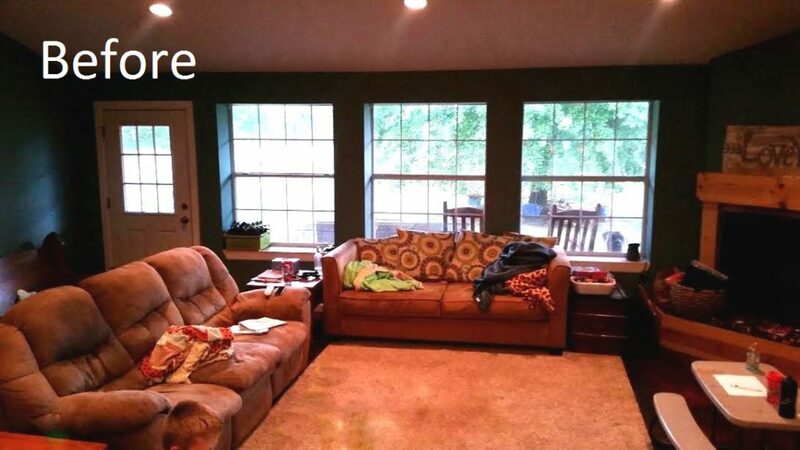 Sofa, check. 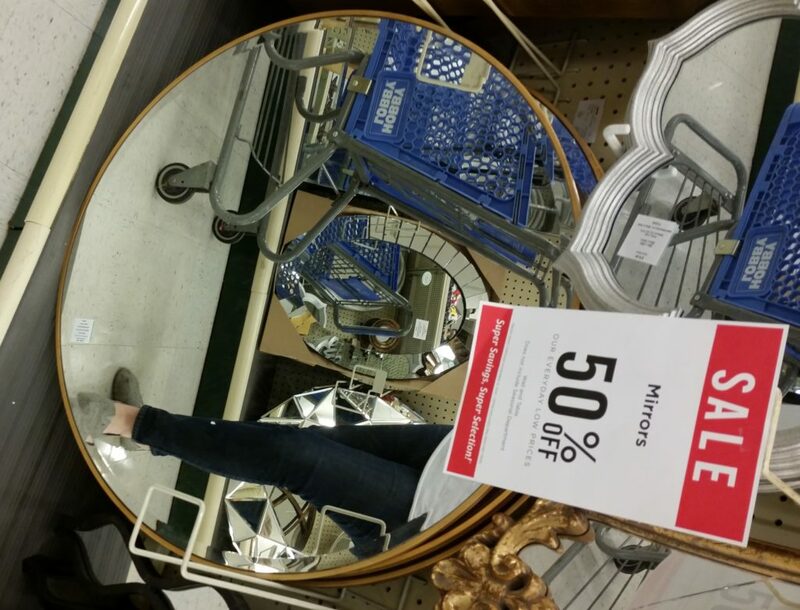 So we went straight to thinking about area rugs. 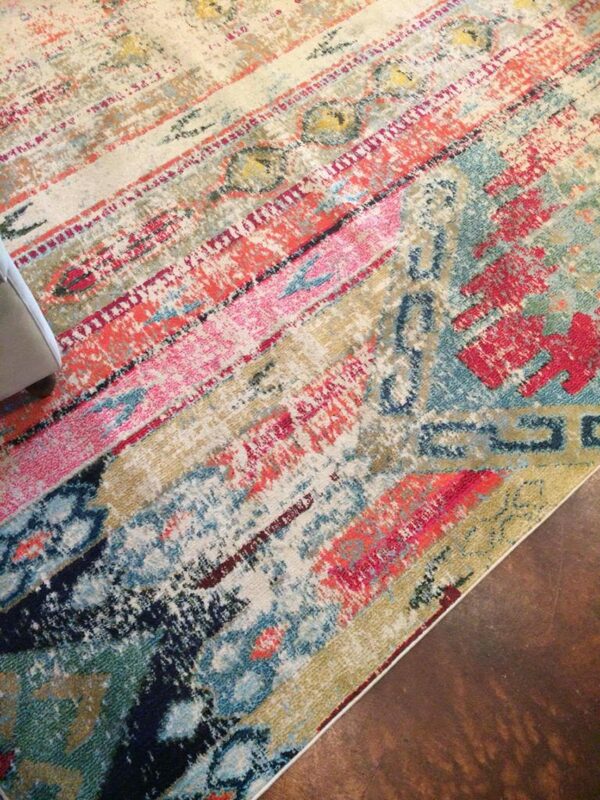 Kristen loves bright cheery color and had 8 or 10 rugs saved for me to look at. 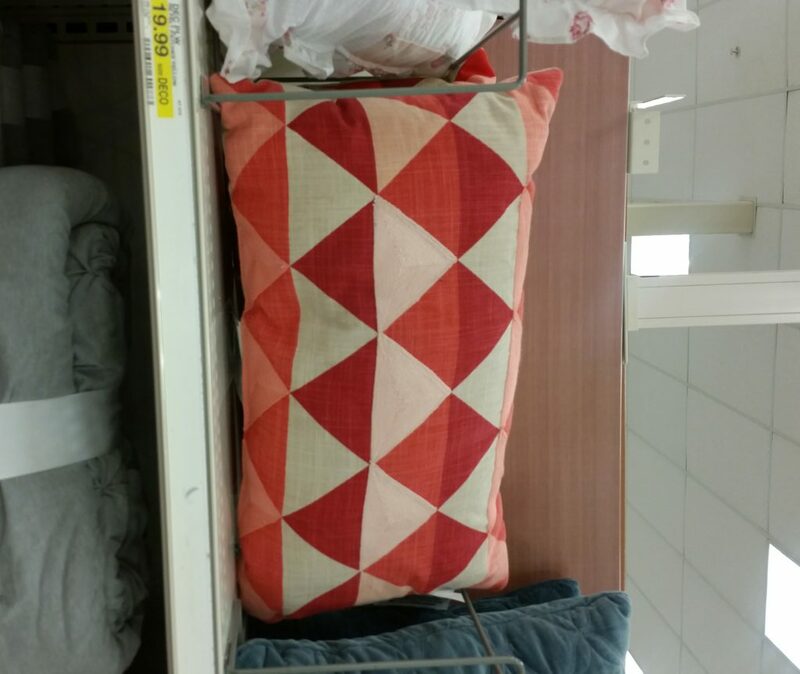 I especially loved the option with the faded, hint-of-Aztec pattern. Lots of color, but not too strong of a pattern from across the room. 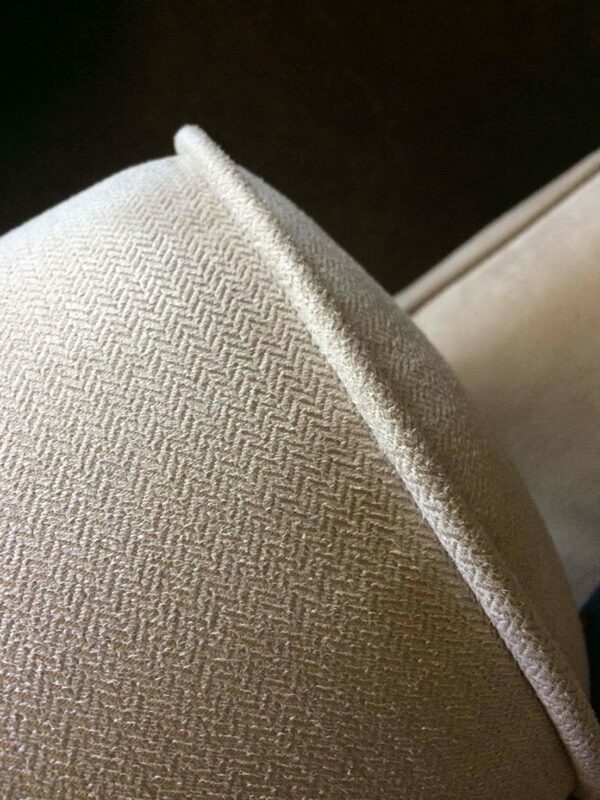 Wonderful herringbone pattern on the sofa. Bright and happy modern rug. 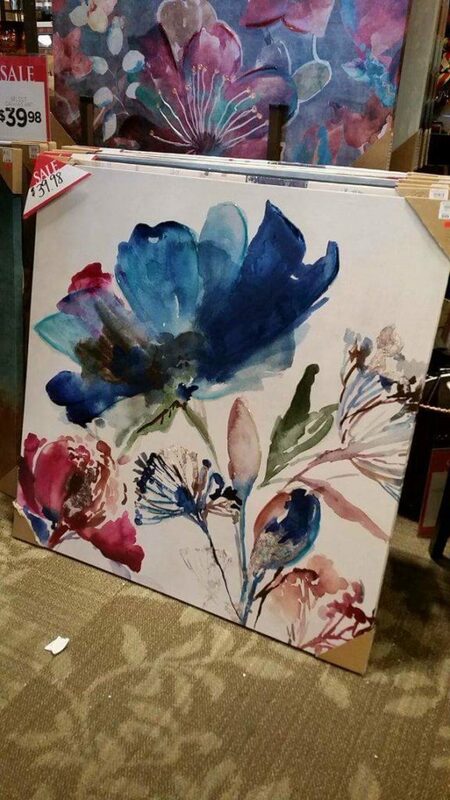 I added a watercolor piece I painted as part of their gallery wall, to keep their gallery unique and custom. On Design Day 1, I brought over a truckload of goodies, and began placing and staging them. 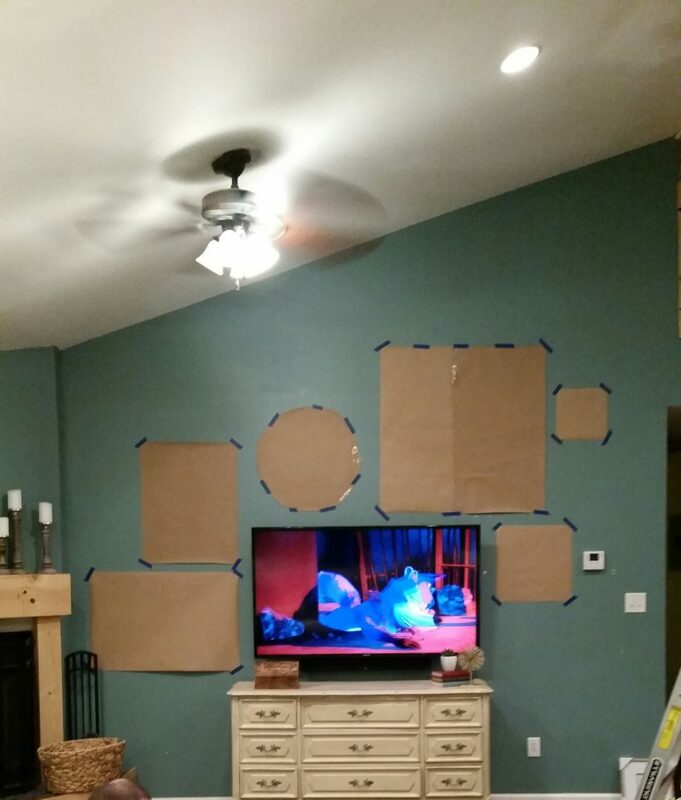 I also planned out the gallery wall above the TV and used paper to help me visualize the layout. I wanted the art to go uphill, following the architectural detail of the vaulted ceiling. Getting this part just right *might* have taken me about 20 tries. 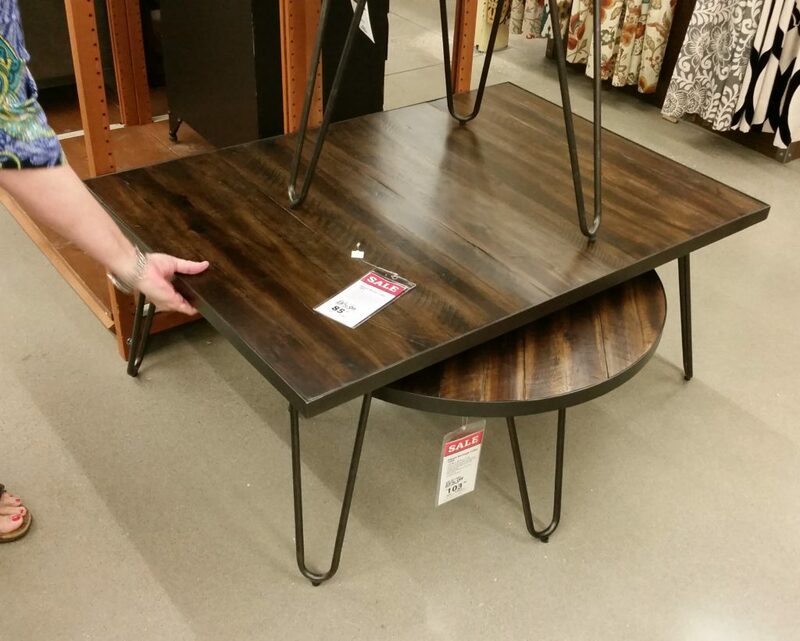 But I couldn’t stop until it was perfect! 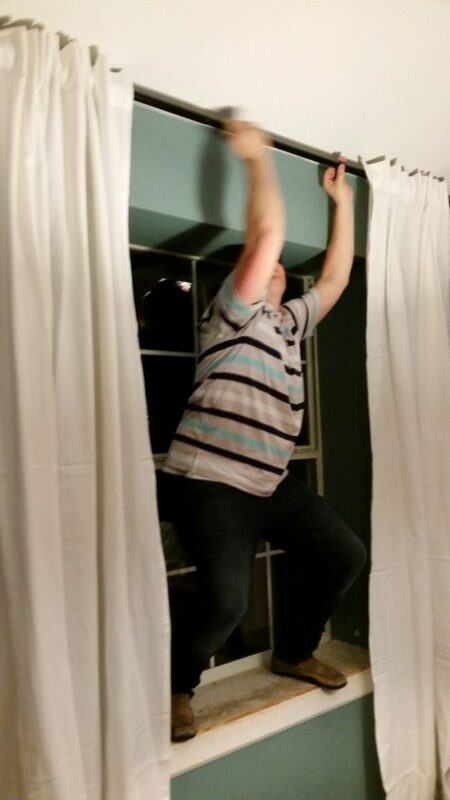 On Design Day 2, my hubby Doug came to help me hang all the curtain rods, art, and mirrors. His math brain can get it all calculated and level on the first try. I, on the other hand, would still be over there attempting to get it all right… with about 117 unnecessary holes in the wall. And obviously I couldn’t pass up the opportunity to catch him in the act. 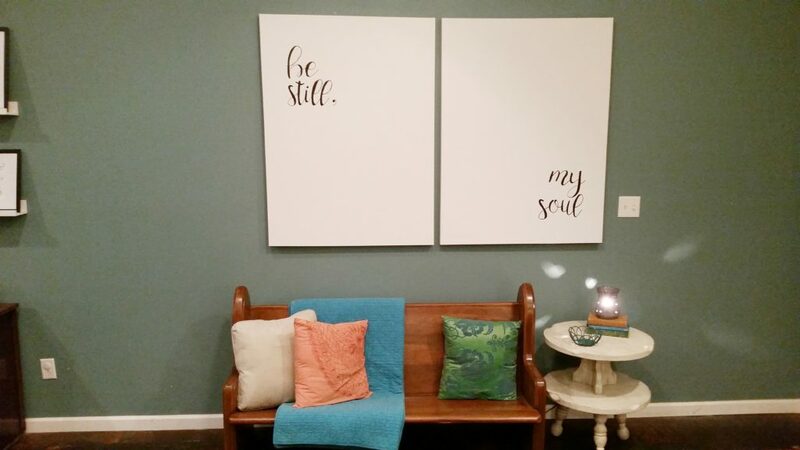 I hand painted “be still, my soul” on two large canvases as an anchor piece to ground the large back wall. 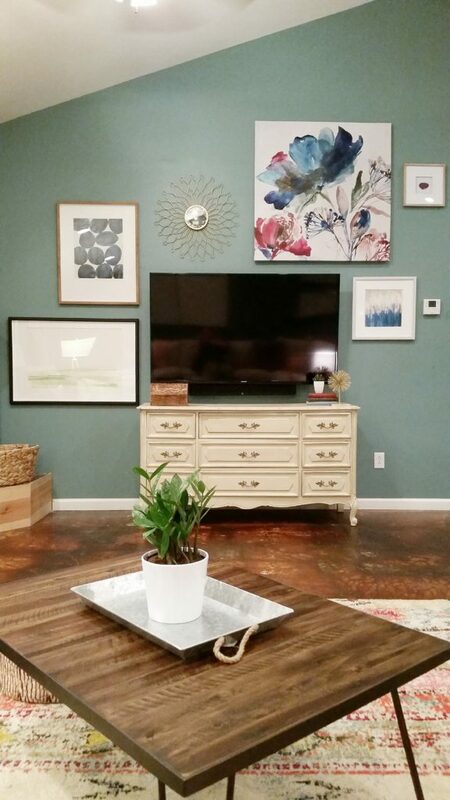 With a strong wall paint color and a variety of colors throughout the space, I opted to keep this art clean and simple. 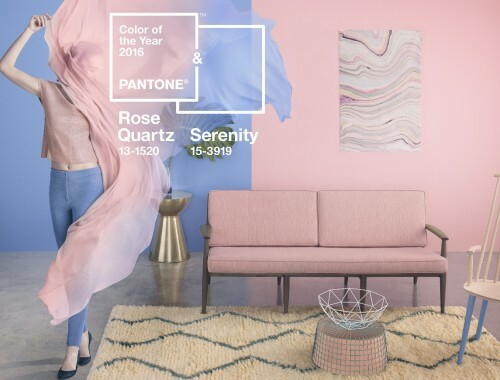 Balance is so important when choosing wall art and color combinations. 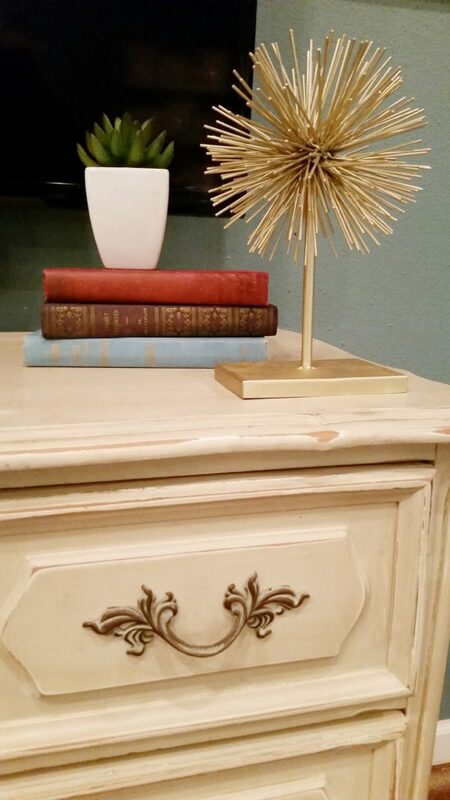 Kristen had this beautiful antique church pew and accent table, which I used to create a seating area by the front door, and it also serves as overflow seating for guests, as it faces the TV from behind the sofa. 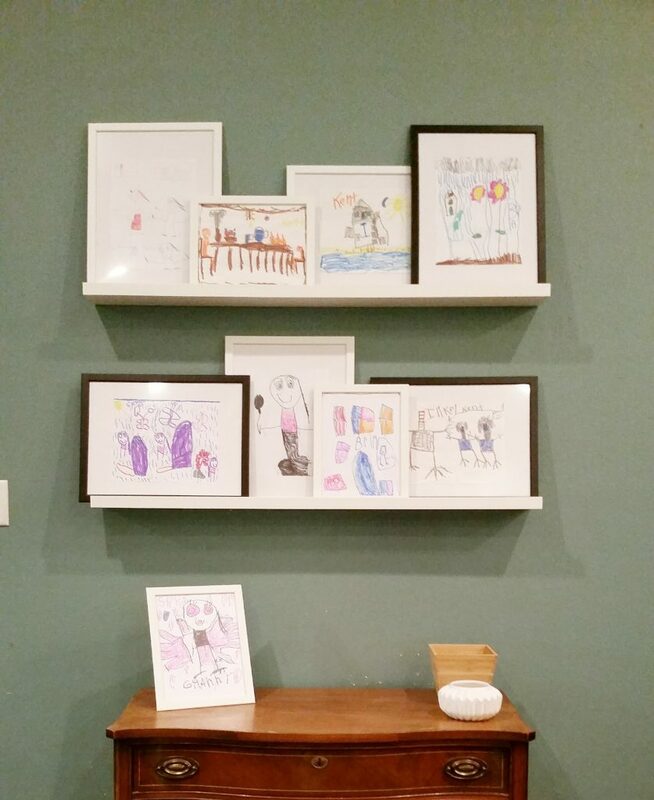 In our initial consult, Kristen talked with me about needing a way to capture and organize her kiddos’ art. We all know a fridge front can only hold so much! 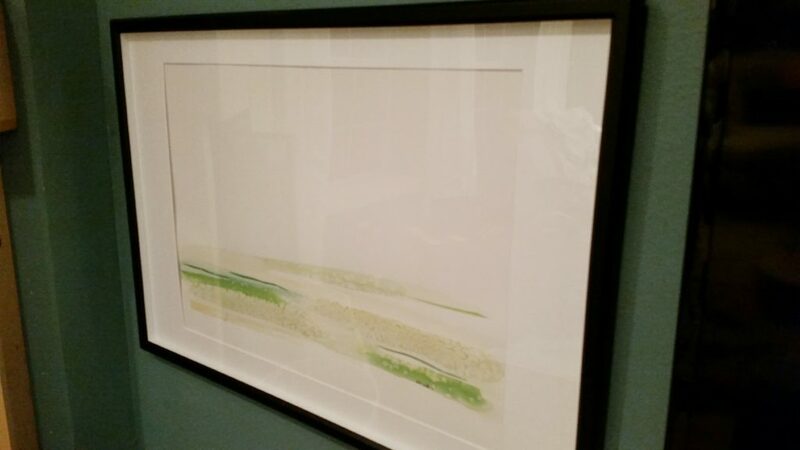 I used picture ledges and thin frames to showcase the artwork, and encouraged Kristen to rotate the art out every month or so. 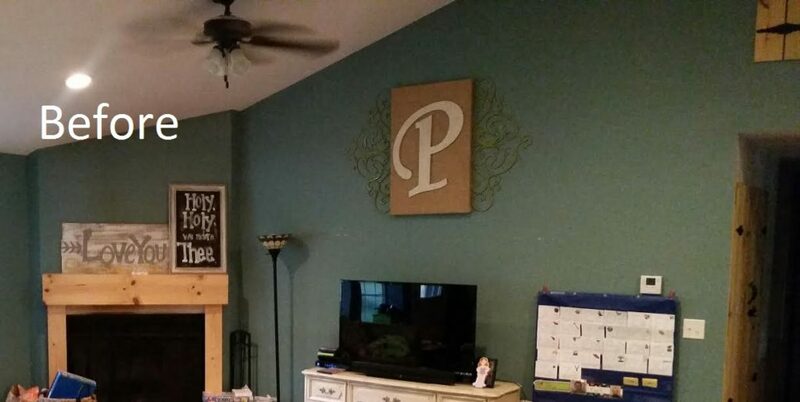 The mantel art may be my favorite. A few years ago, Kristen had one of Zack’s favorite photos of them turned into a sketch. Finally, it’s now framed and serves as the focal point of the mantel. 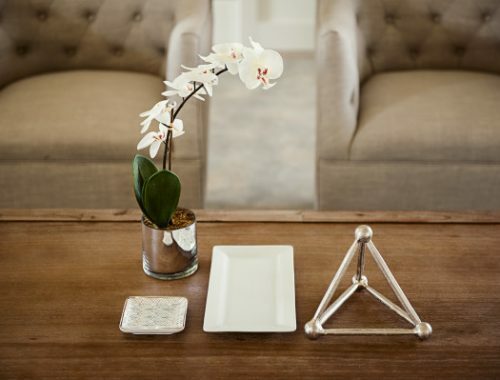 Personal pieces are the key to making a home “yours”. Here’s the space, completed! 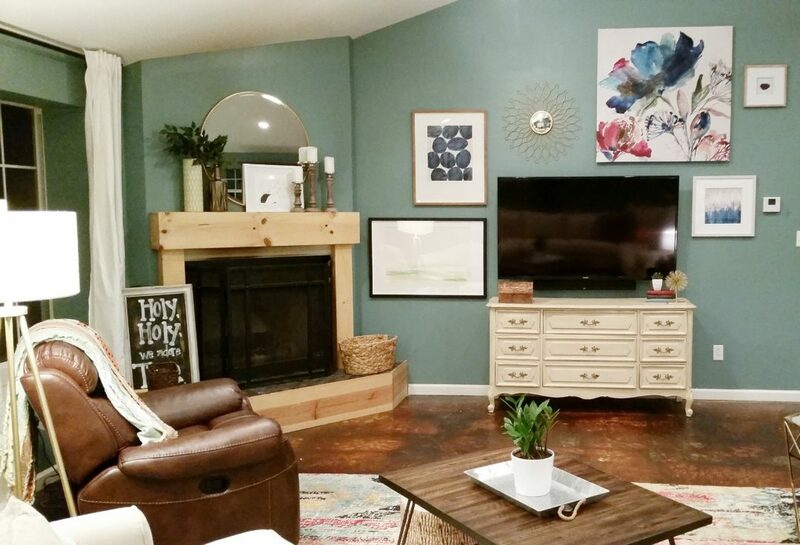 I pulled geometric patterns and a blend of rustic and modern accents to create an eclectic, bold style which Zack and Kristen love. 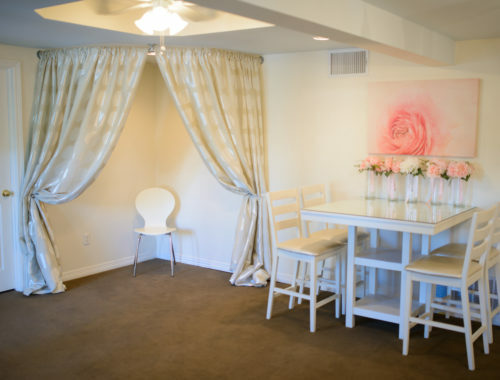 I am thankful for this opportunity to style a space for this sweet family to live and grow in!